ViewSonic Corp announced two new Full HD projectors for big-screen entertainment at home. Developed with reduced input latency and native 1080p resolution, ViewSonic PX700HD will deliver smooth image quality for immersive, big-screen experiences. 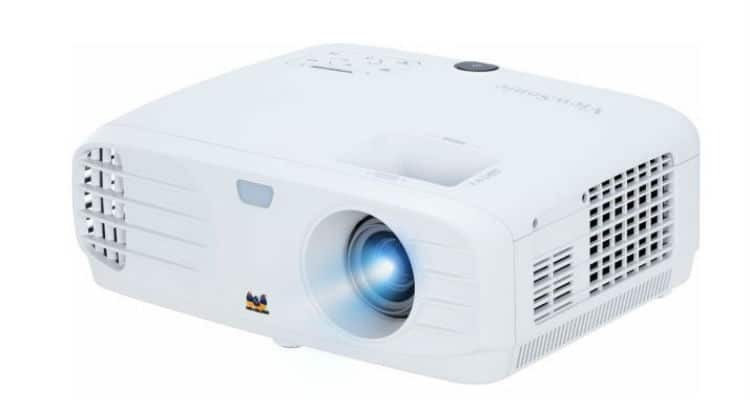 PX700HD Home Entertainment Projector being ideal for big screen home entertainment, it features 3500 lumens of brightness and Full HD 1080p native resolution all housed in a user-friendly design and sleek chassis. With ViewSonic’s exclusive SuperColor technology, this projector offers a wide colour gamut for intense images in nearly any environment. The PX700HD features a low input latency that delivers faster frame-by-frame action, and a Sports Mode feature offers stunning detail for fast-action content on a big screen. ViewSonic introduces budget conscious Gaming Projectors 0 out of 5 based on 0 ratings. 0 user reviews.